The Pastrami Nation podcasters are back with a brand new episode! 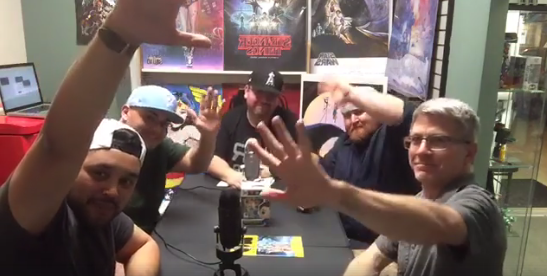 This time, Nolan, Jason, Robert, Mychal and Erik talk about the upcoming X-O Manowar #1 from Valiant Entertainment, the smash hit Logan, and the upcoming WonderCon convention! Check out the Facebook page for LIVE podcasts, which include contests and more at: www.facebook.com/pastramination.com. Also, check out the podcast at SoundCloud, Youtube, and iTunes.